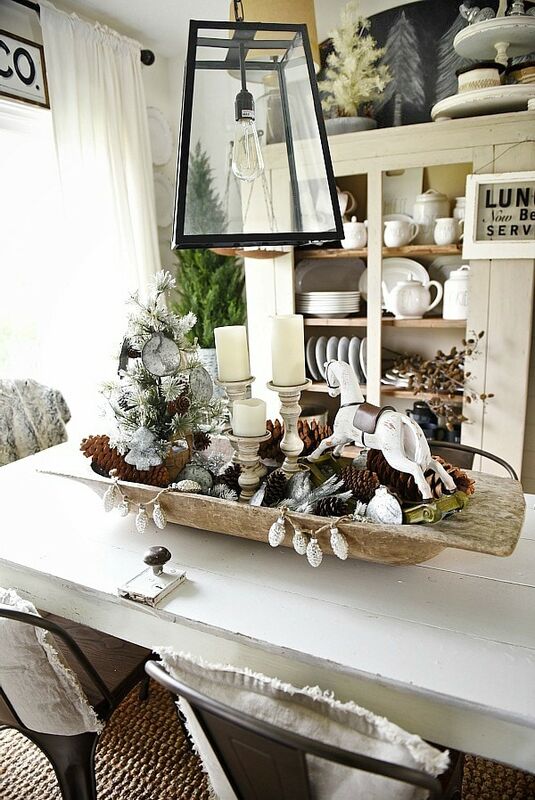 You all knew that I HAD to get my dough bowl out for Christmas at least once [I might be back with another Christmas dough bowl centerpiece… we shall see] I have been craving a more simple Christmas centerpiece after my rustic woodland tablescape [here] & I knew the dough bowl would be the perfect piece. I also wanted to use my new rocking horse from A Cottage In The City because, well let’s face it, it’s almost the cutest thing I have ever seen. When I said simple centerpiece, I just meant “more simple” haha. 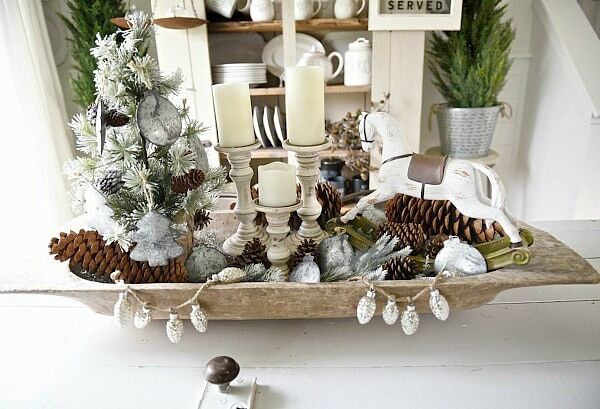 To create this Christmas dough bowl centerpiece I took a dough bowl I found while out junkin’ [ you can find one for yourself at Painted Fox [here]]. I filled it with some garland from Michaels, & layered in some ornaments, pinecones, and a small Christmas that were also from Michaels. 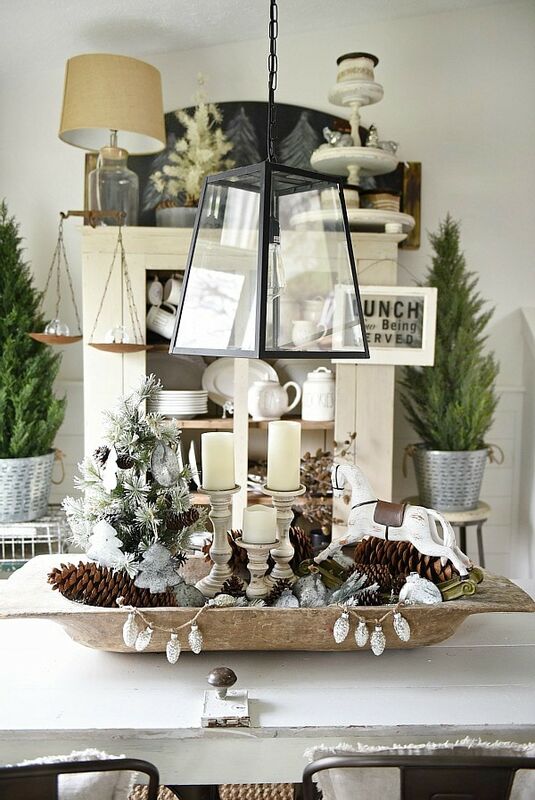 The candle holders are from world market, & the gem of the whole thing is that wonderful rocking horse from A Cottage In The City [here]. Super simple & easy to take on and off the table which I know a lot of you wanted some ideas on, so here you go. 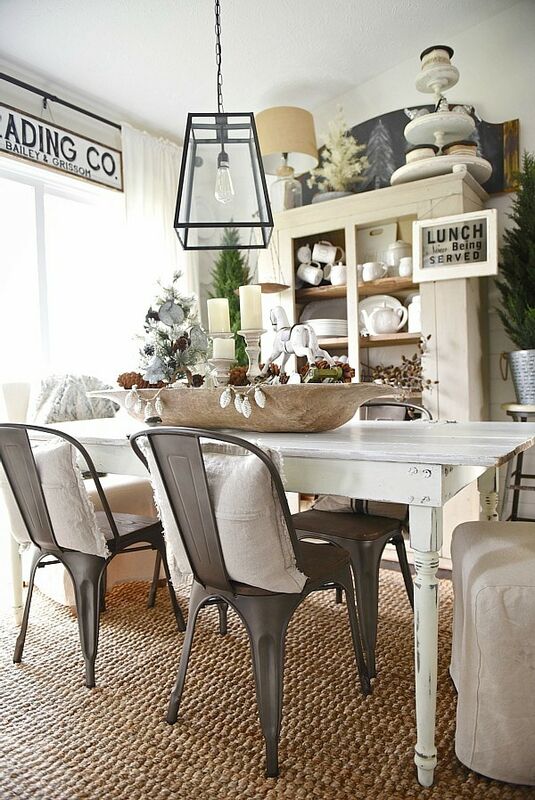 This would also be great with any tray. I think you guys have probably noticed, but I am never done with anything. 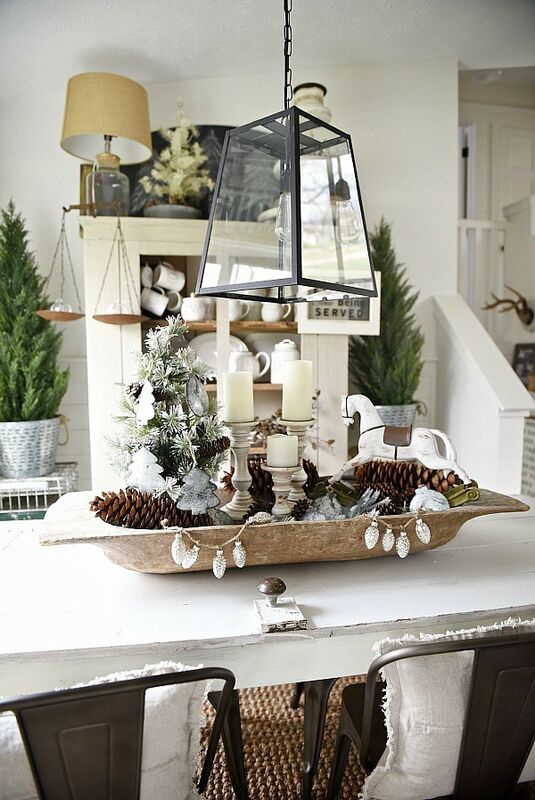 I’m always tweaking things even our Christmas decor & that’s why I have this blog to document it all. It’s so much fun sharing different Christmas ideas & hopefully you guys leave the blog inspired in some little way. 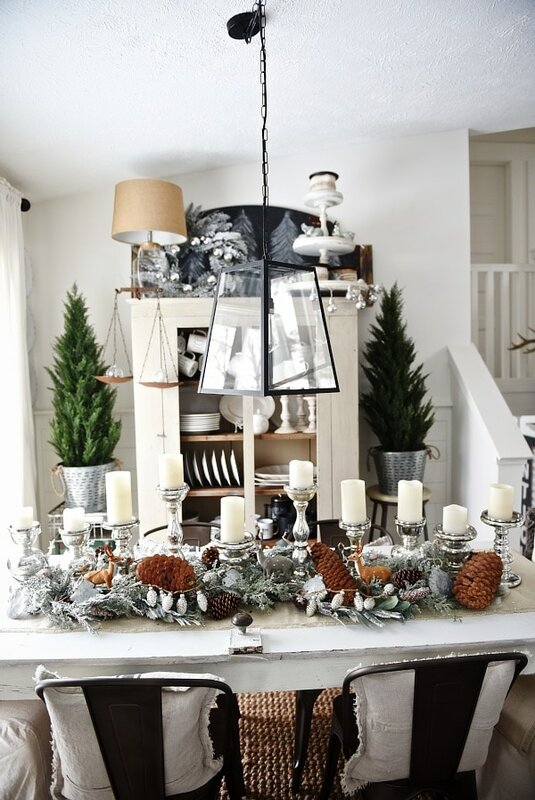 This simple Christmas table is making me crave more simple Christmas decor around the house. 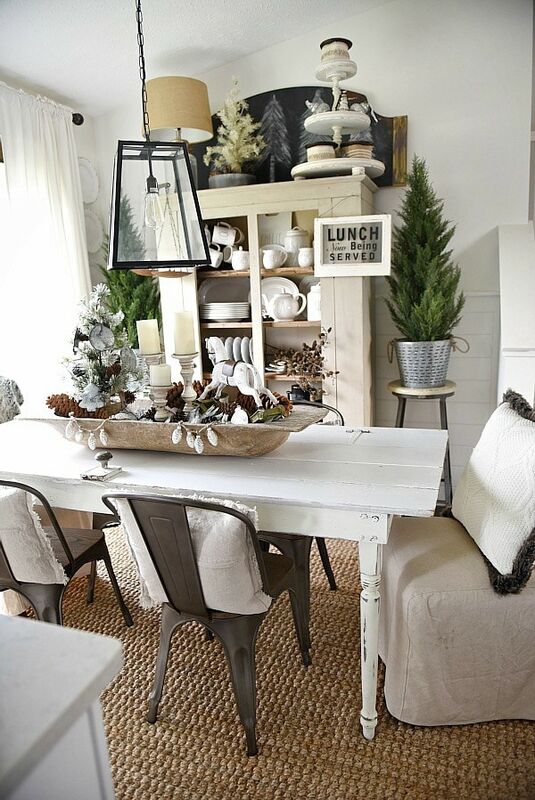 Maybe I should subtract a few things & share a more simplified Christmas home tour soon? Stay tuned! 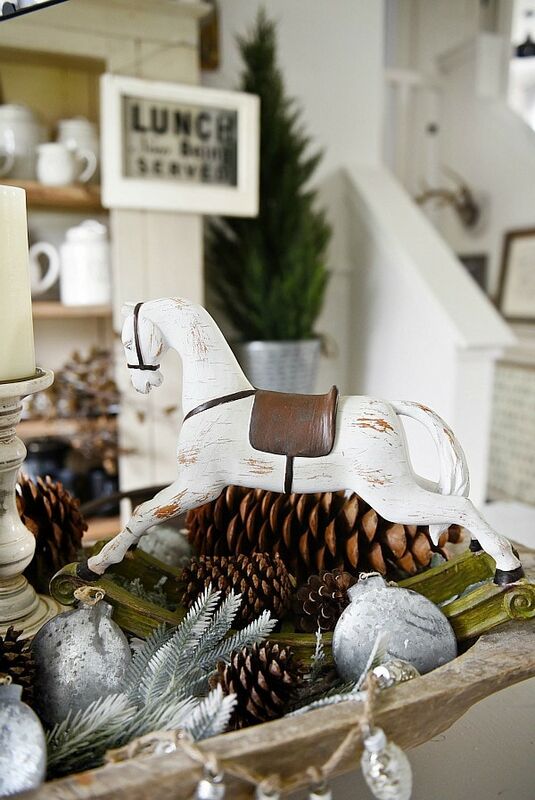 I’m loving this neutral Christmas space & that rocking horse is giving me all the feels. Am I a rocking horse person now? Like, do I collect them? Have I got to that stage? 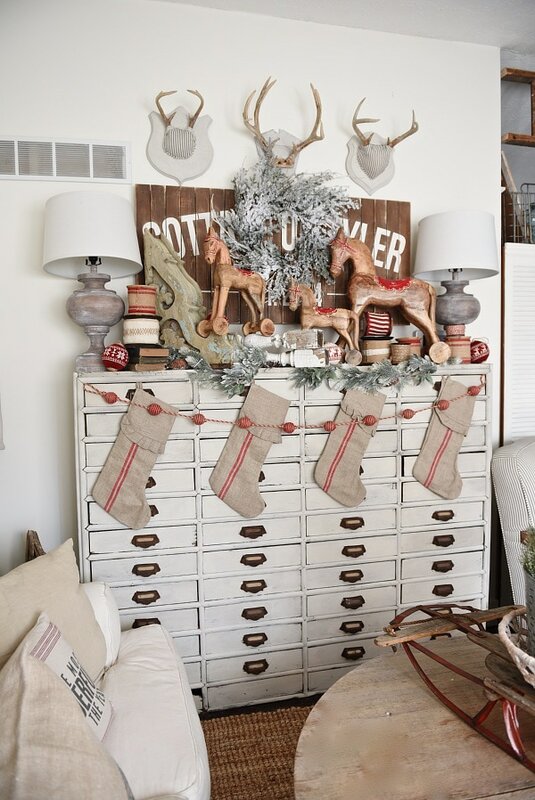 I mean we all saw my card catalog [here] with all of the rocking horses. Okay. Let me know what you think of this Christmas dough bowl centerpiece in the comments below, find me on Facebook, & chat with me on Instagram. 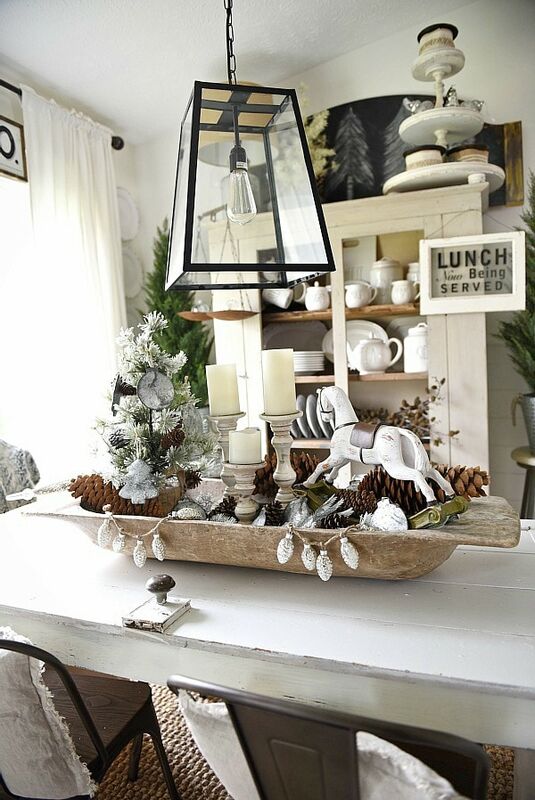 See our rustic woodland Christmas tablescape [here]. See our Christmas card catalog [here]. 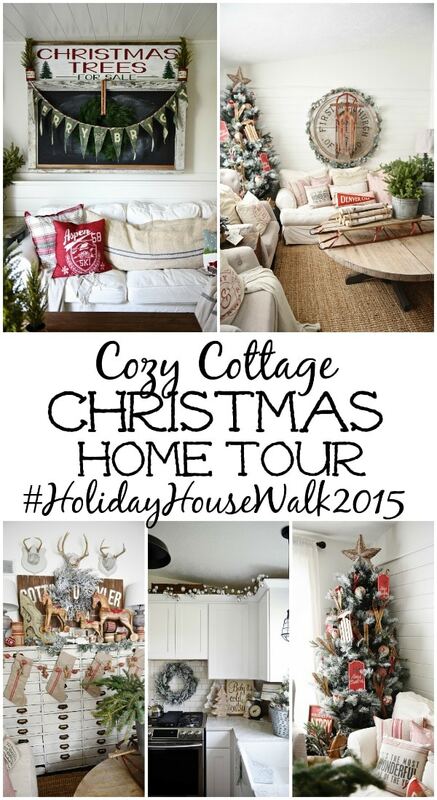 See our cozy cottage Christmas tour [here]. 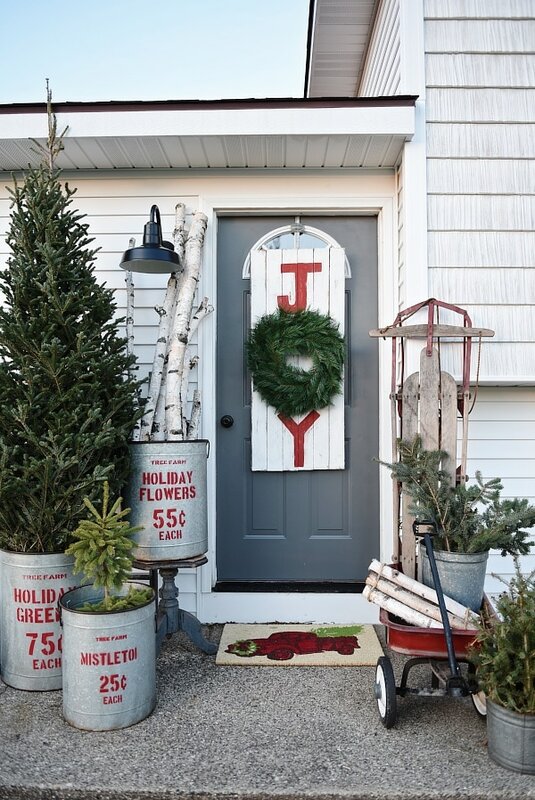 See our rustic Christmas porch [here]. 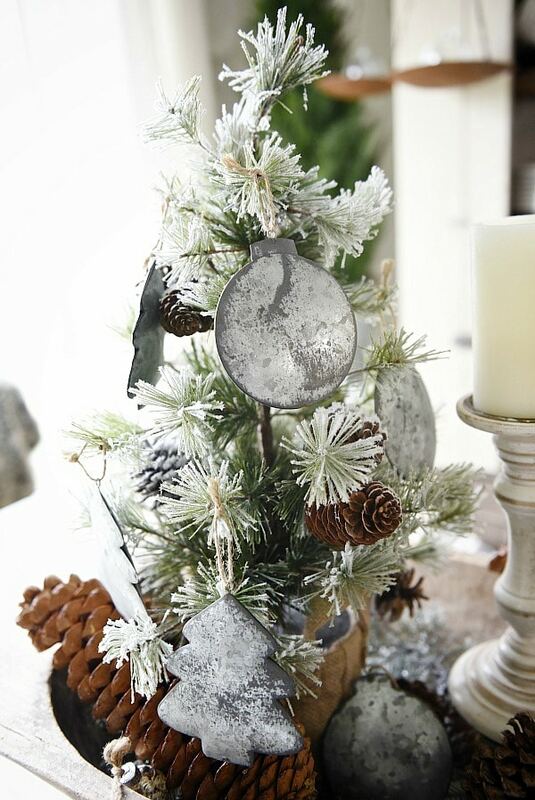 Where did you get the metal ornaments on your tree in your centerpiece? I love them! 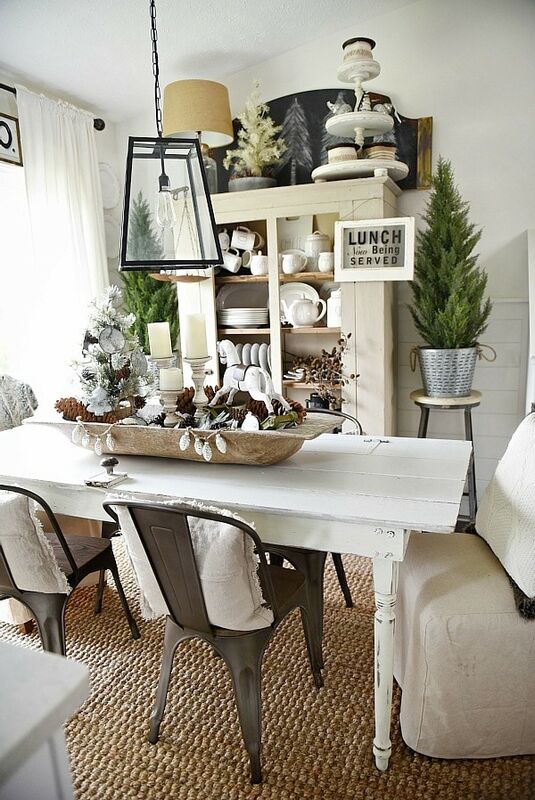 That centerpiece is gorgeous and I would love to see a simple Christmas home tour!